Bulk SMS mobility services have transformed communication and taken it to an all new level. This has opened up vibrant new vistas for the mass communication industry through mobile phones. With technological advancements and the increasing accessibility of mobile phones, sending bulk SMS is an easy way to reach people without spending too much money. SendPK.Com is Pakistan number one SMS marketing service provider and they provide numerous options to stay in touch with your customers, employees and other significant targeted audience. We help you create a buzz in the market, making it much easier than other traditional means. We help you to redefine archetypes and revamp your SMS campaign with SMS marketing. 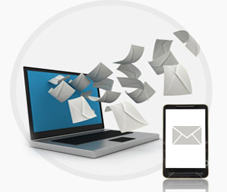 In Pakistan, the concept of sending bulk SMS is becoming popular day by day. Branded SMS services help to send tips, service messages, alerts, reminders and other forms of communication to the customers across a wide geographical area.